In Seattle it’s not a surprise to come across a fabulous restaurant serving great cuisine. I don’t expect it 47 miles north, in the little town of Arlington, Washington. Here it is, though, Bistro San Martin, and I’m enjoying well-prepared, creative dishes served perfectly. I’m not questioning, just happily indulging. The chef/owner, Martin Estrada-Perez, left Mexico several years ago and worked for other restaurants before opening this one in 2005. Wearing a high hat with pheasant feathers stuck in the brim, he moves around the open kitchen, stirring sauces and tossing chopped garlic with a sure hand, occasionally flashing a smile at rapt customers. 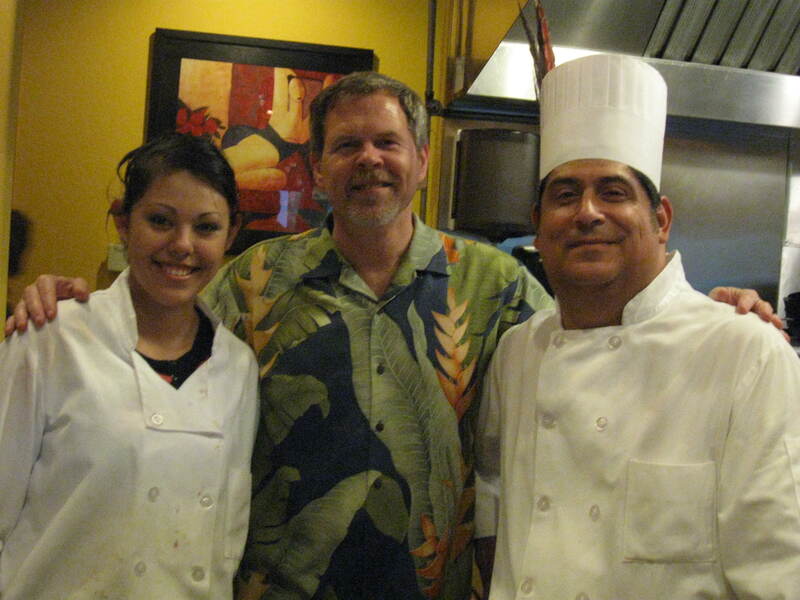 His assistant Olga helps keep the kitchen running smoothly, and his co-worker and general manager, Steve Van Matre, takes care of the busy room, stopping at each table with a friendly greeting. The word is out; the bistro, with a menu that’s expensive for the area, is full on a week night. First comes an amuse-bouche, compliments of the house: two crispy won-tons topped with a smidge of guacamole and a tomato/onion relish. Then my friend Myrna and I share an appetizer, a twist on insalata caprese — oven-roasted tomatoes with fresh herbs, goat cheese, olive oil, and a balsamic infusion. It goes well with warm bread and a glass of Columbia Valley Sauvignon blanc. Next time I’ll try the house specialty, mushroom puff pastry, a wonderfully rich combination of local mushrooms, garlic and herbs, served in pastry with a brandy cream sauce. The escargots and Dungeness crab cakes beg to be tasted, too. 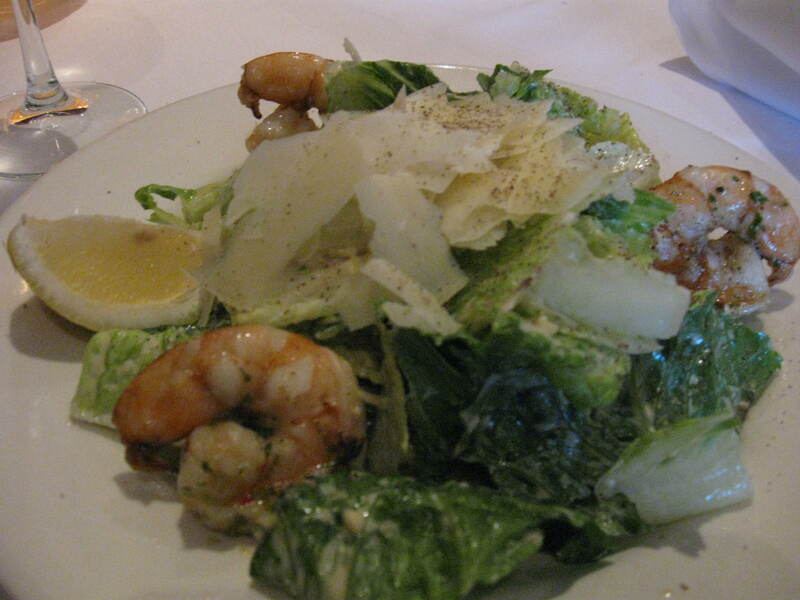 My Caesar salad with grilled prawns is classic and excellent (spendy–$5 for 3 prawns?–but perfect). Myrna’s poached pear salad is a melange of greens, pears in red wine, Cambozola cheese, and toasted hazelnuts. Main dishes range from $16.50 for tiger prawns linguini to $34.50 for filet mignon wrapped with bacon, topped with roasted onion and bleu cheese butter, and served with mashed potatoes and vegetables. That sounds rich enough to make the cholesterol level take notice. I’ll more likely order the roasted half-duckling with Bing cherries, almond couscous, and vegies. Even then I’ll take half of it home. When you eat here, do not neglect the desserts, all made in-house by Chef Martin. They vary. Examples are lemon creme brulee, panna cotta with honey-caramel and Almond Roca, and vanilla mousse cake with fresh fruit and almonds. 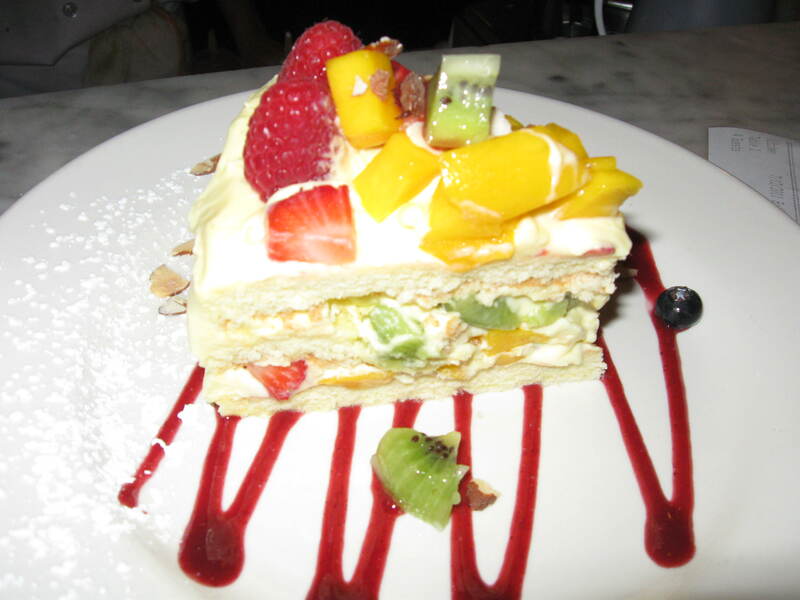 The cake is light and delicate, a final sweet touch to a great meal. However, my plan for the next visit is to save room for “Naughty Chocolate Cake,” dark mousse on a fudgy crust, with a chocolate coating and the whole treat spiced with a dash of cayenne. Now that’s chocolate. Bistro San Martin has a full bar and selection of wines from around the world, favoring Pacific NW labels. A few are available by the glass.